Lino cutting printmaking will be this months Handmade @ the Library project. We now have a full-time clerk on board who comes to us from the Serra Mesa Library. Dave began working at San Diego Public Library (SDPL) in May of 2010 as a volunteer at the Serra Mesa-Kearny Mesa Branch. 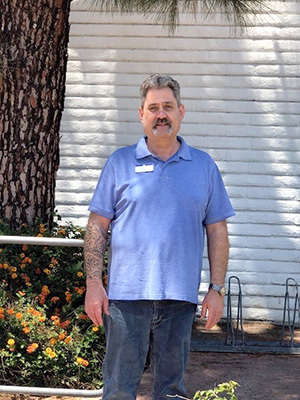 In December 2014, he was hired as an hourly library aide and worked at the Point Loma Hervey Branch until November 2015 when he was promoted to half-time library clerk at the Serra Mesa branch. His most recent promotion came in April 2018 and he is now the full-time clerk at Allied Gardens/Benjamin Branch. A retired veteran of the U.S. Navy, Dave believes in hard work and making a positive difference in patrons’ lives by helping them get the most out of the resources available at SDPL. He makes it a personal challenge to never miss a day of work. His passions are baking and crossword puzzles so if you are stuck on a clue, stop by the circulation desk and ask him for help or to exchange a good recipe. Welcome aboard, Dave! 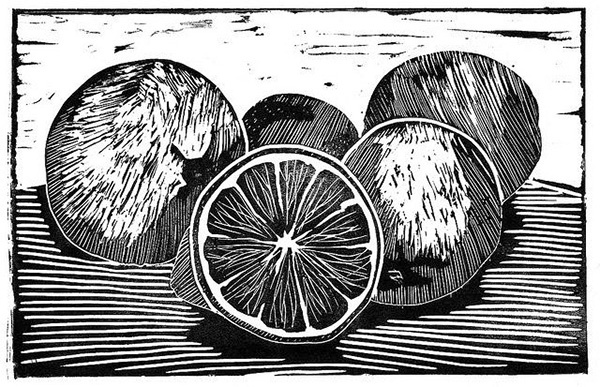 This month our buy now Handmade @ the Library will be printmaking using the lino cutting technique. If you are unfamiliar with this technique, it involves carving an image out of a linoleum block and then creating ink prints. Please register by calling 619-533-3970 and bring a simple image measuring 3-by-4-inches to the program on Friday, June 23, at 2:30 p.m. This program is geared toward adults but all are welcome. Our wonderful order now Fitness Fun instructor, Lois, is scheduled to present on June 8 and 15 this month but we ask participants to call to confirm beforehand. She is making every effort to present but circumstances are such that she may not be available. We appreciate your understanding. Thank you to everyone who brought in cheap generic viagra mail order pharmacy book donations for the May book drive. Thanks to your generosity, we collected 119 children’s books, which will be added to our collection or distributed to children in need. Please note, we do accept book donations for all ages on a regular basis for our amazing Friends of the Allied Gardens/Benjamin group. Your donations help the Friends support our programming. Speaking of our Friends group, they will be hosting a paperback and children’s click here book sale on Saturday, June 23, from 9:30 a.m.-1:30 p.m. Be sure to mark your calendar and bring a large bag for these inexpensive gems. The http://rainypass.com/faq/ order now Socks for Stand Down collection drive will continue through June 18. Please bring in new socks or underwear to go to homeless veterans and their families. Our collection box is halfway full as of the writing so let’s see if we can fill it to the brim. The San Diego Heart Gallery is part of a collaborative national project designed to increase awareness about the need for adoptive families. This project hopes to create new opportunities for children in the foster care system to connect with prospective families. In partnership with the County of San Diego, the Benjamin Branch Library hopes to assist this effort. Visit our latest exhibit to see portraits of these beautiful children and read their personal stories. June is LGBT Pride Month and our display celebrates the contributions of the Lesbian, Gay, Bisexual and Transgender (LGBT) community to our nation’s history and culture. Check out our current display of books, movies and music by and about LGBT writers, artists, musicians, scientists, philosophers, service members, citizens and community leaders. LGBT Pride Month is celebrated every June to honor the June 28, 1969 Stonewall riots, a pivotal moment in the American LGBT rights movement. The purpose of this national commemorative month is to recognize the lasting contributions that LGBT individuals have made and continue to make to culture, society and the world. We are so excited about Comic-Con, that we started celebrating a month early! Throughout the summer, our display cases will be filled with a variety pop culture memorabilia, comic books, and private comic-themed collections. Don’t forget to check out our graphic novel collections for adults, teens and children. We have comics for all ages! Not only does the San Diego Public Library have a vast collection of graphic novels, but we also have a great selection of science fiction and fantasy genres, as well as your favorite popular movies and TV series on DVD. Our Summer Reading Program started on June 1 and runs through Aug. 1. This year’s theme is “Reading Takes You Everywhere” and readers of all ages can participate. Just read 10 books or 10 hours to claim your finishing prize pack. Finishing prizes are available starting July 1. Sign up online at SanDiego.gov/SummerReading and record your books. This is a great opportunity for children to avoid the “summer slide” and give them a head start for next school year. We encourage all to participate. You never know where you’ll go while reading a book — anywhere and everywhere! Our weekly Summer Reading Programs children’s events are going to be held on Monday afternoons at 2:30 p.m.
On June 18 at 2:30 p.m. Mad Science will guide kids’ imagination by taking them through the jungle. We will explore the jungle by the sounds that you will hear, discover the many creatures that habitat in the jungle, and experiment with the chemical elements found in some plants and insects! Hullabaloo is back! Join us for on June 25 at 2:30 p.m. for a foot-stomping, wing-flapping celebration of songs that honors and entertains both kids and families. A good time for the whole family! On July 2 at 2:30 p.m., the League of Extraordinary Scientists presents Life-cycles! Learn how everything alive has a life cycle and how those life cycles are connected — seeds to plants, babies to adults, eggs to butterflies. Not only will your little ones get a better understanding of life on our planet but they will also have the opportunity to see it up close. There will be tadpoles, frogs, beetles, mantis, butterflies and more! On July 9 at 2:30 p.m., Pacific Animal Productions presents an opportunity to meet animals from around the world and learn how they survive each day. From deserts to swamps, from hunting to hiding, animals are perfectly suited for the adventures they will face in their homes no matter where in the world they live. It is sure to be a fun and entertaining time full of information, laughs and of course audience participation. Starting June 18, our wonderful teen programs will go on hiatus for the summer but don’t worry they will be back in the fall. Until then, we will continue to have our ever-popular Teen Scene, which takes place on Tuesday at 3 p.m., as well as our video-gaming program that takes place every Wednesday from 12:30 p.m. to 2:30 p.m.
We continue to offer story times for babies, toddlers and preschoolers throughout the week, as well as our popular adult programs. Please visit the branch or check out our Facebook page for a schedule. —Kathryn Johnson managing librarian of the Allied Gardens/Benjamin Branch Library. Reach her at JohnsonKA@sandiego.gov.